The issue of endocrine disruption is a real public health issue, which political and health authorities have begun to consider as such. But pending the concrete results of the various action plans undertaken, should consumers fear the identified or suspected “endocrine disrupting substances” in their daily products, and in particular their cosmetics? 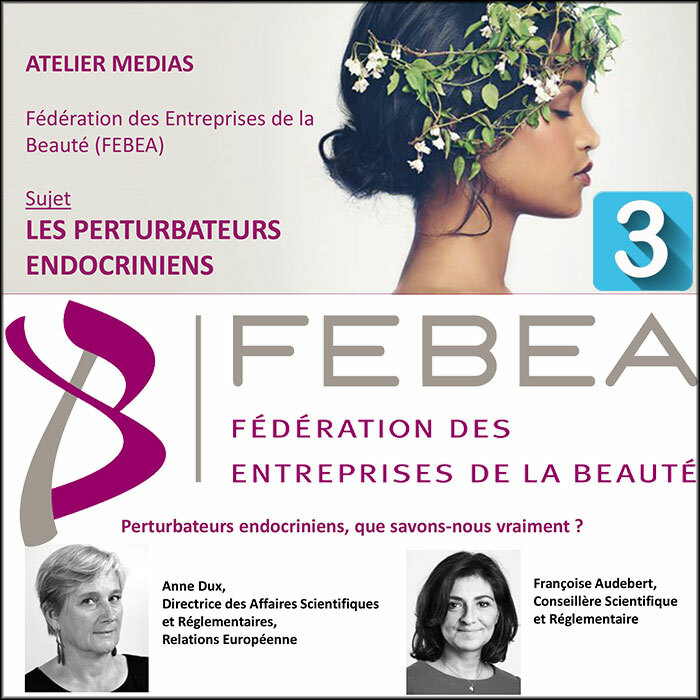 During the press workshop organised by FEBEA on 14 February 2019, Anne Dux, Director of Scientific and Regulatory Affairs, and Françoise Audebert, Scientific and Regulatory Advisor, were reassuring. It is not surprising that consumers are concerned: many publications point to certain cosmetic ingredients as proven endocrine disruptors.